Congratulations Heather! Please send your address to Mary at marycardztv@yahoo.com and I'll get your stamps right out to you! Thanks so much for joining us for challenge #78! Hope you all had a wonderful, blessed Christmas with your family and friends! I wish you blessings & all good things in the New Year! I'll see you back here on January 4, 2019 for challenge #80! Let's see who won Cardz TV Anything Goes Challenge #77. Congratulations Gail! Please send your address to marycardztv@yahoo.com and I'll get your Cardz TV Stamp set right out to you! Thanks so much for joining me for the Cardz TV Anything Goes Challenge! 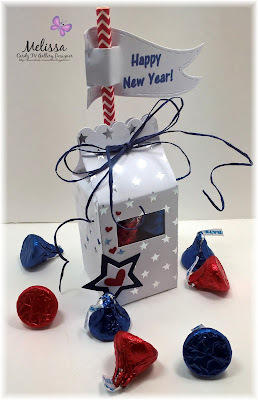 You have until noon EST, Thursday, January 3, 2019 to post your name and a link to your creation, using the Inlinkz tool below. Many of you have asked, and no, you don't have to use Cardz TV Stamps to enter! I do ask that your entries be new projects...no backlinks please, and you may enter up to 3 times. 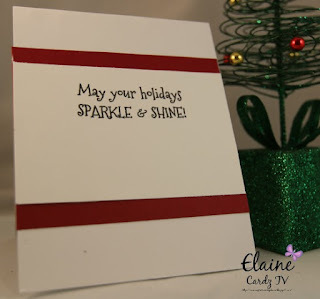 KAREN ~ CARDZ TV STAMPS "BIG HOLIDAY WISHES"
BRENDA ~ CARDZ TV STAMPS "CHRISTMAS JOY"
ELAINE ~ CARDZ TV STAMPS "BIG HOLIDAY WISHES" & "MERRY EVERYTHING"
Hi guys! Today we'll make card eleven for the 12 Days of Christmas card series for 2018. 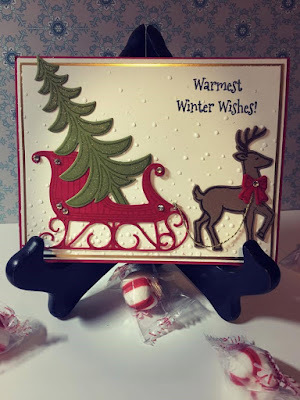 I used Cricut Give A Hoot, and Cardz TV Stamps "Christmas Joy". Hope you enjoy! Thanks so much for watching! Hi guys! Welcome to this weeks Cardz TV Anything Goes Challenge! I'm so glad you decided to join me in this week's challenge, but first, let's announce the winner of Cardz TV Anything Goes Challenge #76. Congratulations kathyk! Please send your address to marycardztv@yahoo.com and I'll get your Cardz TV Stamp set right out to you! Thanks so much for joining me for the Cardz TV Anything Goes Challenge! You have until noon EST, Thursday, December 27, 2018 to post your name and a link to your creation, using the Inlinkz tool below. Many of you have asked, and no, you don't have to use Cardz TV Stamps to enter! I do ask that your entries be new projects...no backlinks please, and you may enter up to 3 times. MARIA~ CARDZ TV STAMPS "HOME FOR CHRISTMAS"
JERI ~ CARDZ TV STAMPS "HOLLY JOLLY' , "VERY MERRY", "HOME FOR CHRISTMAS ", & "SNOW DAY"
MELISSA ~ CARDZ TV STAMPS "HOME FOR CHRISTMAS"
BRENDA ~ CARDZ TV STAMPS "GLAD TIDINGS" & "MERRY EVERYTHING"
Hi guys! today we'll make card ten for the 12 Days of Christmas card series for 2018. 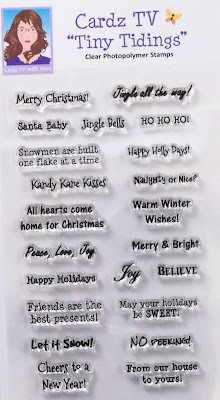 I used the NEW Cricut/CTMH cartridge "Season of Joy". Thanks so much for watching! Hi guys! Today we'll make cards seven, eight & nine for the 12 Days of Christmas card series for 2018. 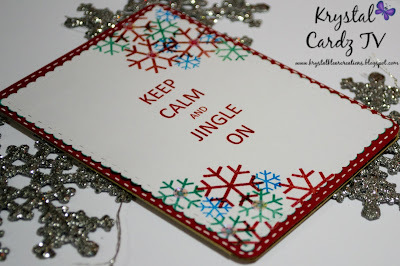 I used card stock, papers, embellishments, stamps and die cuts from the Cardz TV Christmas Card & Tag Kit. Hope you enjoy! Thanks so much for watching! Let's see who won Cardz TV Anything Goes Challenge #75. Congratulations Mel! Please send your address to marycardztv@yahoo.com and I'll get your Cardz TV Stamp set right out to you! Thanks so much for joining me for the Cardz TV Anything Goes Challenge! You have until noon EST, Thursday, December 20, 2018 to post your name and a link to your creation, using the Inlinkz tool below. Many of you have asked, and no, you don't have to use Cardz TV Stamps to enter! I do ask that your entries be new projects...no backlinks please, and you may enter up to 3 times. MELISSA ~ CARDZ TV STAMPS "TINY TIDINGS"
SHELLY ~ CARDZ TV STAMPS "NAUGHTY OR NICE"
RACHELLE ~ CARDZ TV STAMPS "WINTER CHEER"
KRYSTAL ~ CARDZ TV STAMPS "NAUGHTY OR NICE"
NEW! 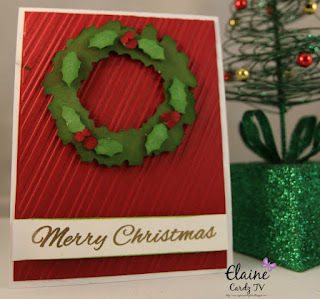 CARDZ TV CHRISTMAS CARD & TAG KIT! Hi guys! The NEW Cardz TV Christmas Card & Tag Kit is ready for shipping! You can check it out, and see everything that comes in this kit at Cardz TV Stamps. I have a very limited number of these kits, and at $29.95 (which includes s&h), it's first come, first serve. Thanks for watching! Hi guys! Today we'll make card six for the 12 Days of Christmas card series for 2018. 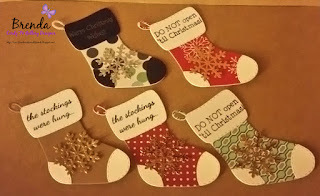 I used Cricut Create A Critter, Create A Critter 2, Elegant Edges, and Cardz TV Stamps "Tiny Tidings". Hope you enjoy! Thanks so much for watching! To order your Cardz TV Stamps click HERE.